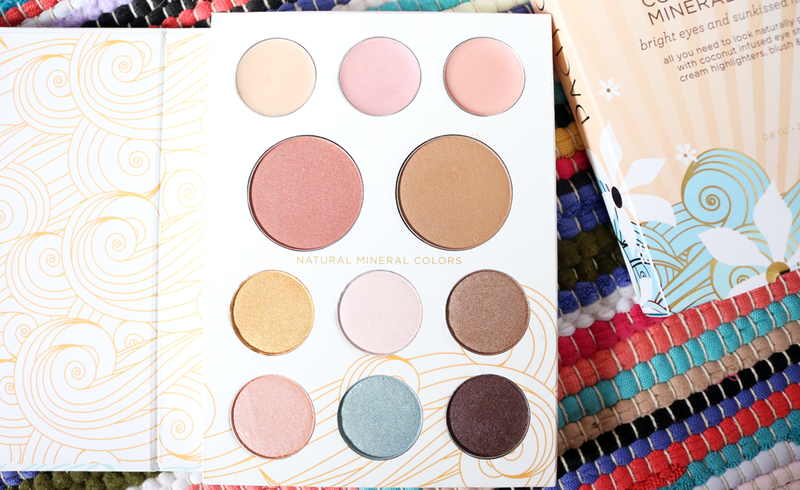 Makeup palettes are a serious weakness of mine and I've fallen head over heels in love with Pacifica's coconut scented Solar Palette, which is full of shimmery goodness for the summer months ahead. Despite being a fan of Pacifica's perfumes and their gorgeous candles, I hadn't properly looked into their mineral makeup range until recently. 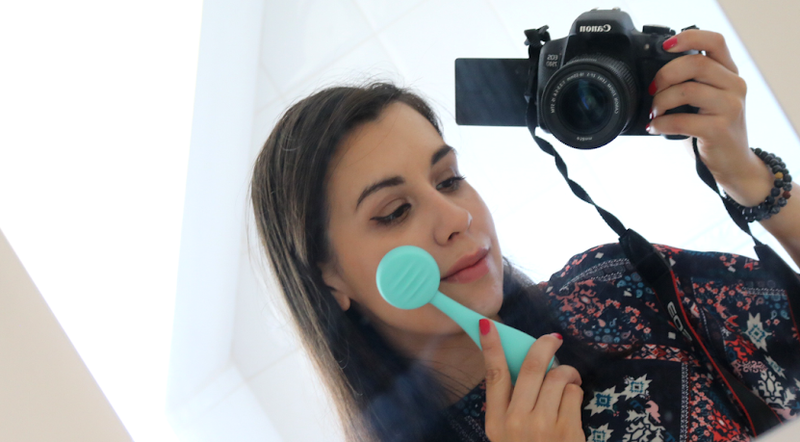 I decided to get my hands on one of their bestselling makeup palettes after seeing some rave reviews from a few other bloggers. I also think a palette is a great way to be introduced to a brand's makeup range that you haven't tried out before, as you can get a good feel for their formulas and test out a bunch of different products at the same time. Win win! 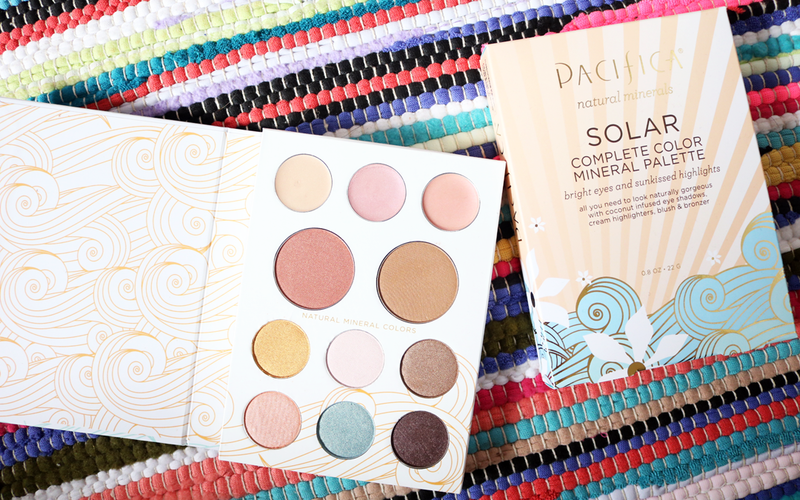 Pacifica's Solar Palette is described as a 'Complete Colour Mineral Palette for bright eyes and sunkissed highlights' which sounded perfect for me as I was looking for a new palette that was more Summer friendly. The packaging is pretty and functional - it opens up like a book, feels sturdy enough to travel with and has a strong magnetic clasp to keep everything in order during your travels. I was expecting to see a mirror inside though as it would have been handy to have one included, but I generally always pack a separate one anyway, so that's not too much of a problem for me. The Pacifica Solar Palette consists of three cream highlighters, a mineral blusher, a mineral bronzer and six mineral eyeshadows, and everything by Pacifica is cruelty-free, vegan-friendly and free from nasties such as mineral oil, parabens, phthalates, petroleum, propylene glycol, SLS etc. When I opened up the palette, I could instantly smell coconut thanks to a natural coconut fragrance being included in the cream highlighter formulas, and the other products are also infused with Coconut Oil as well! The top row of the palette is where you'll find three shades of coconut-scented cream highlighters; Gold Dust (pale shimmery gold), Island Rose (shimmery rosy pink) and Pink Opal (pale light pink with a touch of shimmer). All three of these highlighters are very natural looking and subtle on the skin - they give you a 'bit of glow', rather than a megawatt beam of light if you catch my drift. They have a cream to powder finish and are really easy to apply with fingers - just dip in, dab on and blend out - super easy! Staying power isn't the greatest with these though, as I found they disappeared on my oily/combo skin after 2-3 hours, however, you can prolong this by an extra hour or so by using a primer underneath. 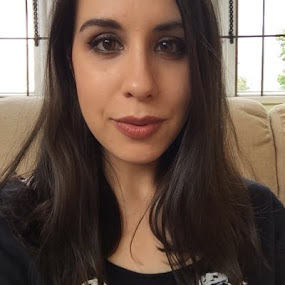 For my light olive skin tone, I find that Gold Dust suits me the best for a gorgeous sunny glow, and I really like Island Rose as a pinky highlighter-meets-blush for when I just want a subtle wash of colour on my cheeks. Pink Opal, however, requires quite a lot of building up to show up on my skin, so I think that one would be better suited to paler skin tones than mine. Underneath the cream highlighters, you'll find two large pans; a mineral blusher named Flushed Blush on the left, and a mineral bronzer called Bronzed Bronze on the right. The pigmentation of both of these really surprised me - with just two swipes I got an intense blusher and bronzer as you can see in the swatches above. Flushed Blush is one of those classic peachy bronzy blushers with a fine gold shimmer running through it. It looks beautiful on and adds a lot of warmth and radiance - I love it! Bronzed Bronze is a light-medium bronzer and works well for adding a light contour and definition to the face, as well as a healthy looking, sun-kissed glow all over. As both of these are so pigmented, I'd recommend using them with a light hand for daytime wear, and then you can easily build them up for a summer evening/night time look later on if you wanted to. The last two rows are dedicated to six mineral eyeshadows, all of which are shimmery, though some are more prominent than others. The eyeshadows are called Neptune (bold bright yellow), Glow (pale pastel pink), Treasure (metallic bronze), Coral (bright coppery coral), Mermaid Aqua (light turquoise with silver shimmer) and Sandalwood (rich brown with gold shimmer). My personal favourites out of these are Treasure, Sandalwood and Coral, the first two being the most pigmented out of the six. I also really like Mermaid Aqua and Neptune for something different, and both of these look really cool applied underneath the lower waterline for a pop of colour. The mineral-based formula for these eyeshadows is great - they feel buttery soft, apply smoothly and blend easily, with the exception of Glow which feels a little chalky and stiff. All in all though, I'm very impressed with this palette and I know that I'll be getting a lot of use out of it in the months ahead! 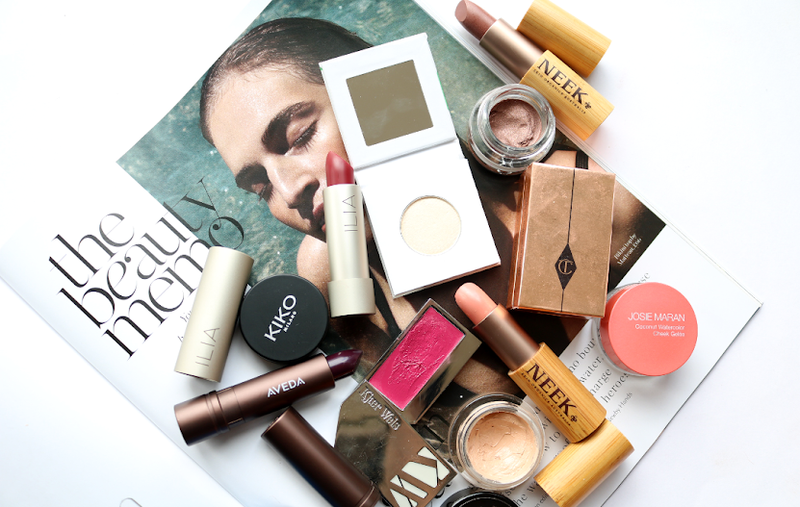 Have you tried any makeup from Pacifica?